The Bishkek Pub Quizzers meet every Wednesday for an English language Pub Quiz. Everyone can join. They split up in teams and try to solve tough trivia questions. And this quiz is tough – if you solve more then 50% you may be among the best on some days. If you are alone, don’t worry. Just ask to be allowed to join one of the teams. People are friendly and will let you in. 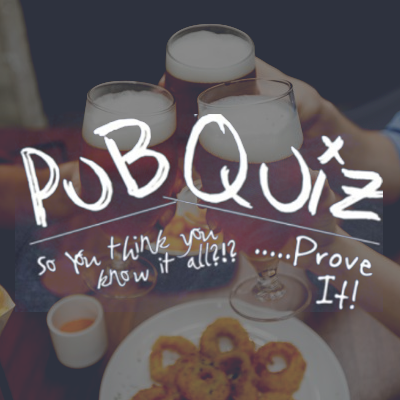 Bringing your own pen and some paper might always be a good idea – it’s a Pub Quiz after all and there will be questions and you need to write down some answers – you better have some answers. This pub quiz format usually has 50 questions with one points each. The quit format might vary depending on the MC. What is an MC? The Master of ceremony. Correct! One point for your quiz team! The Quizzers have created a Facebook Group to unite all the Bishkek Pub Quizzers. The Quizzers organize their events there. The Bishkek Pub Quiz usually happens at Burgerhouse – however occasionally they might skip or meet at some other venue for whatever reason. Please verify the event via their Facebook Page.